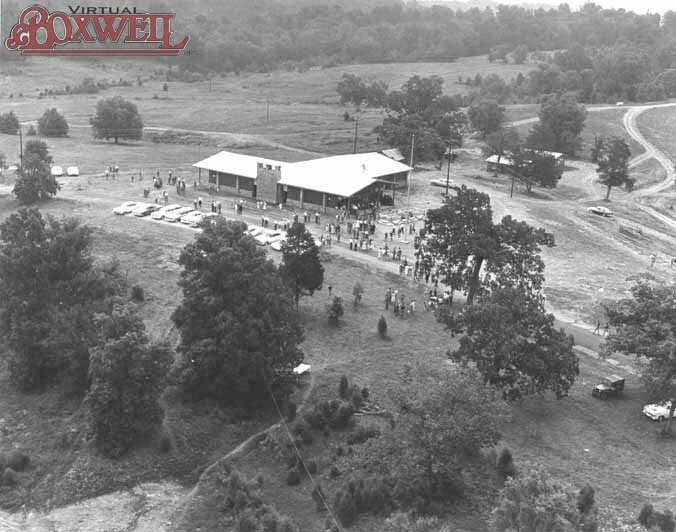 The third Boxwell--the one at Rock Island--had a short but rich history, operating from 1949-1959. 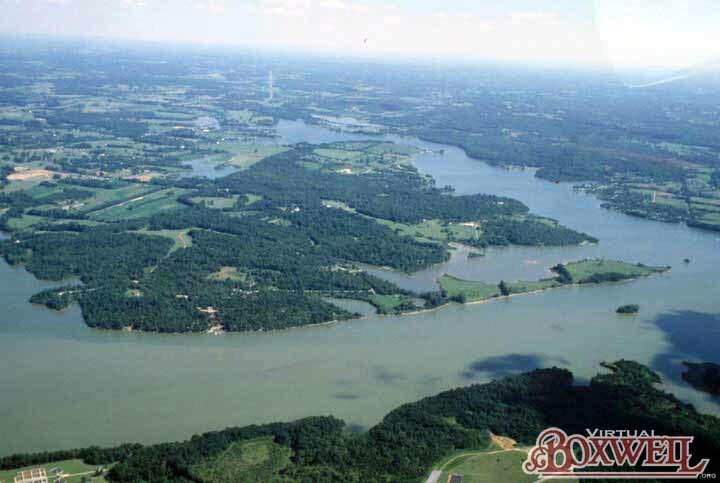 The site, located on the Caney Fork River and named for its Rock Island (pictured at right), was the home of multiple legends, including one that the site contained an unfound Confederate treasure, while another held that the Cherokee "Trail of Tears" ran through the camp. In many ways, Rock Island wasn't that different from the modern Boxwell. The only permanent facilties was the old house at the front of the camp (originally belonging to Fielding H. Yost, the coach at the University of Michigan! ), everything else was a tent. Indeed, even the showers were tents. Still, there was some electricity. There was a hot water heater for the showers and electricity for the cooking and at the Trading Post. 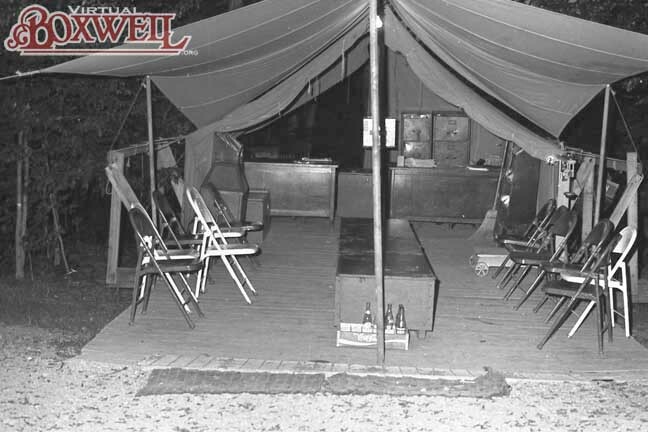 There was no meal time program in the "dining hall" (a set of tents! ), but meals were varied. Breakfast consisted of eggs, bacon, toast, gravy and biscuits as well as choices of cereal, while dinner included meat, ham, beans, and corn. 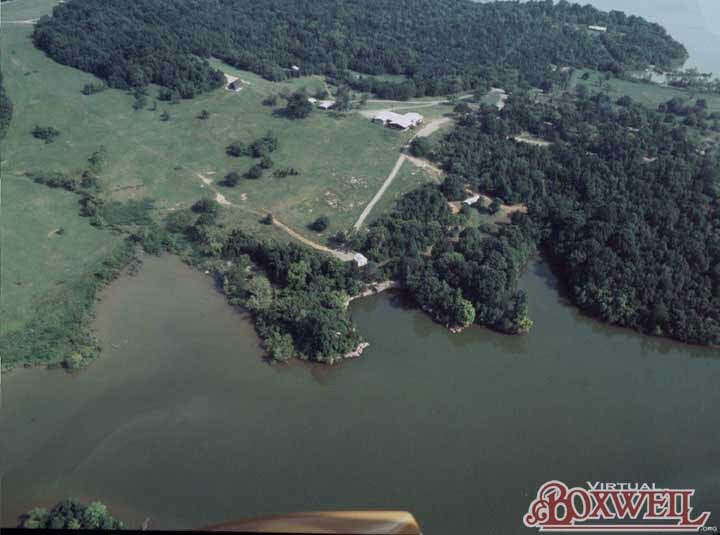 Indeed, some suggest the food was even better than Boxwell at Old Hickory Lake! 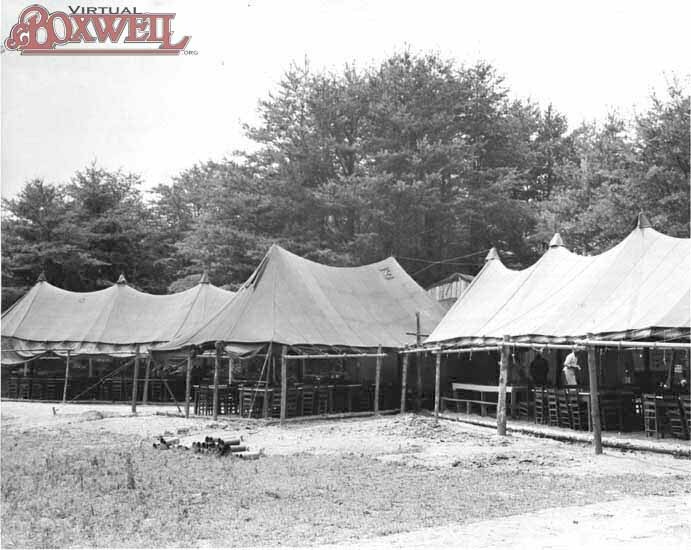 Many of the tents used for camp activities, such as the dining hall and the commissary, were military tents. 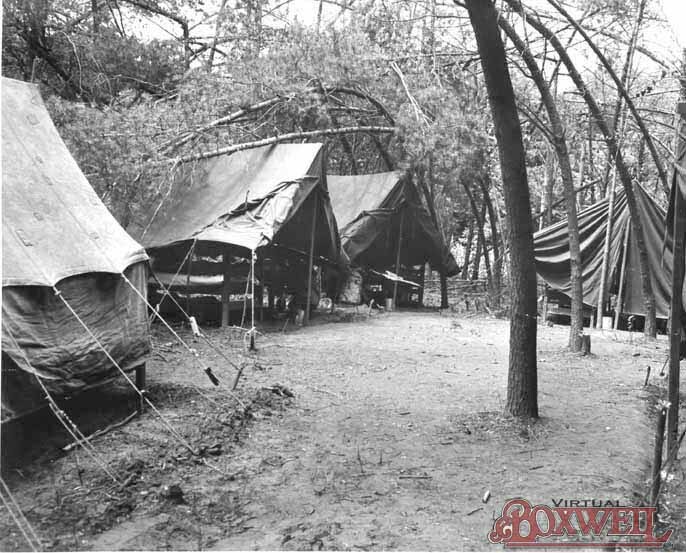 Though some "camp" aspects were added to these tents, such as cedar supports and fencing, they were screened from the military for use by the Boy Scouts. 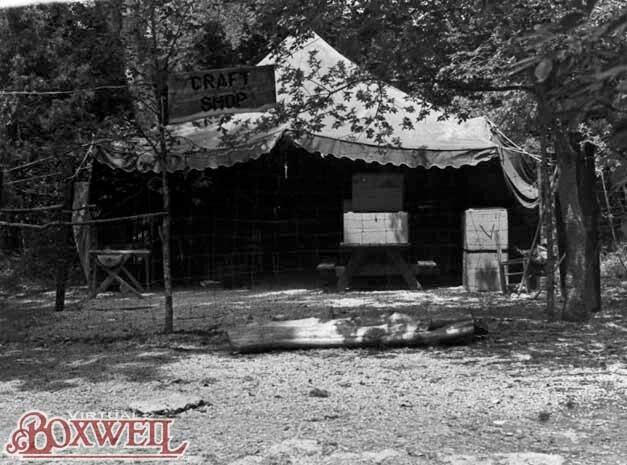 This use of military equipment, such as GP-Medium tents, would continue into the Boxwell at Old Hickory as well. There was also an Indian connection at Rock Island, as seen in site names. 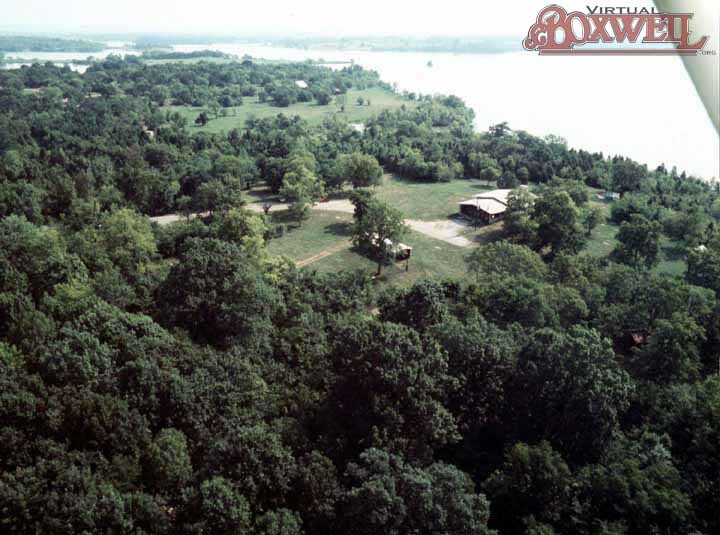 Campsites here often had a pioneer flavor to them, with names such as "Cherokee Village" and "Witha-La-Coochie" showing a Native American bend, while others, such as "Davy Crockett," showed a reflected the American Pioneer Spirit. 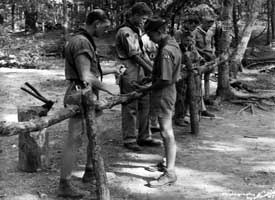 Scouts stayed in sites by themselves (in floorless tents), while any leaders who did come up to camp had tents on wooden platforms. 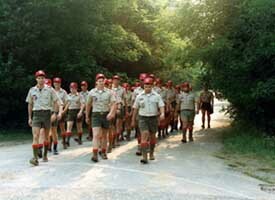 Each campsite also had a Senior and Junior camp staff member assigned to it. Rock Island also had its share of camp routine. 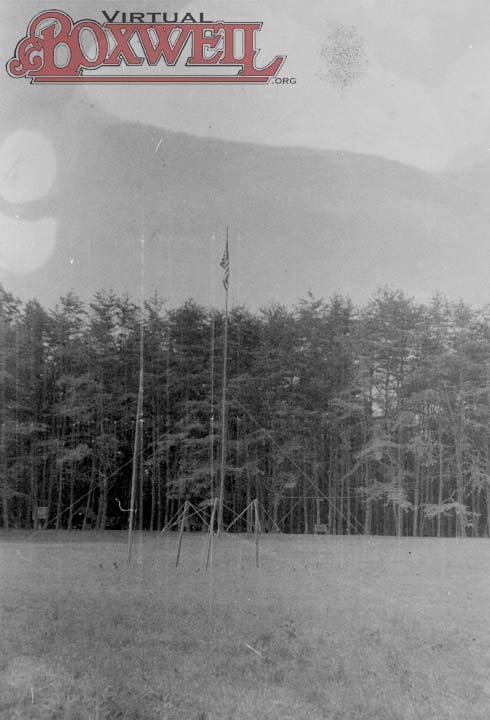 All camp notifications, such as assembly, flag ceremonies, meals, taps, and the like, were done by bugle call. 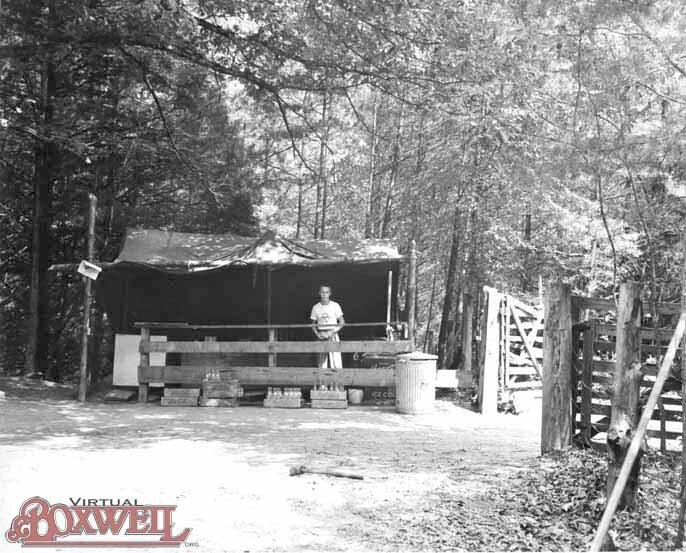 Much like modern Boxwell, campsite inspections occurred in the morning hours with results being given at lunch. They also had a "Best Campsite" Award! 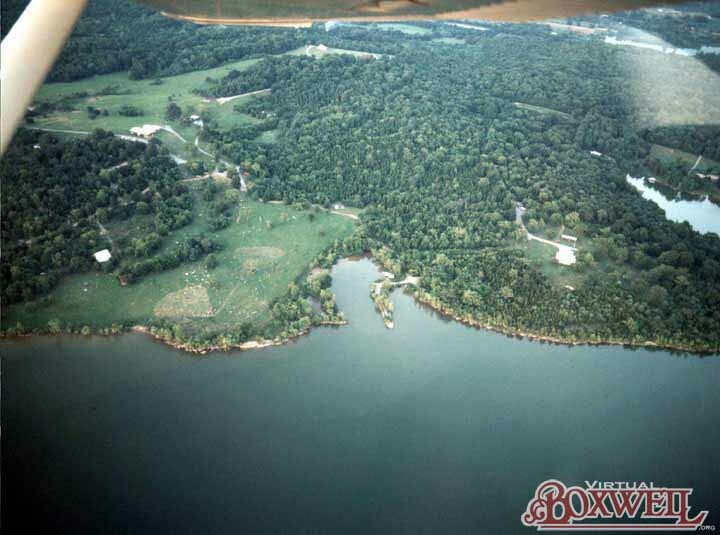 The other major influence on Boxwell at Old Hickory though, was not an early Boxwell, but most likely a camp in Arkansas. Follow the link below to Cedar Valley. 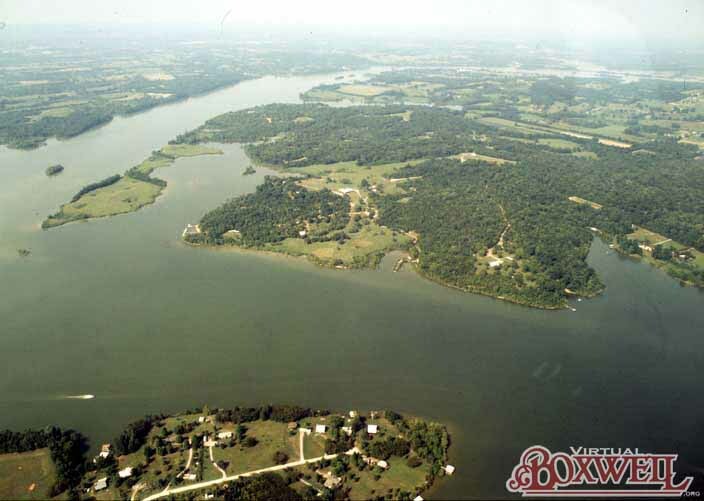 Boxwell Reservation at Old Hickory Lake in Lebanon, TN is actually the fourth Boxwell. The first was in Linton, TN. The second was at the Narrows of the Harpeth, today a state park. 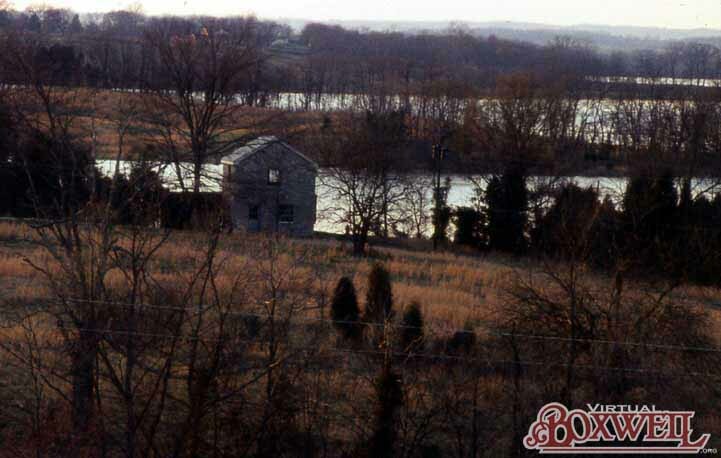 The third was at Rock Island (what is now Charles E. Parrish Wildlife Preserve) in McMinnville. 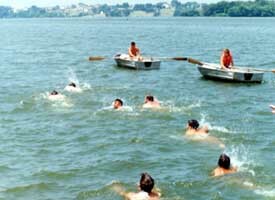 The present Boxwell at Old Hickory Lake opened in 1960 and has been Middle Tennessee Council's main summer camp ever since. 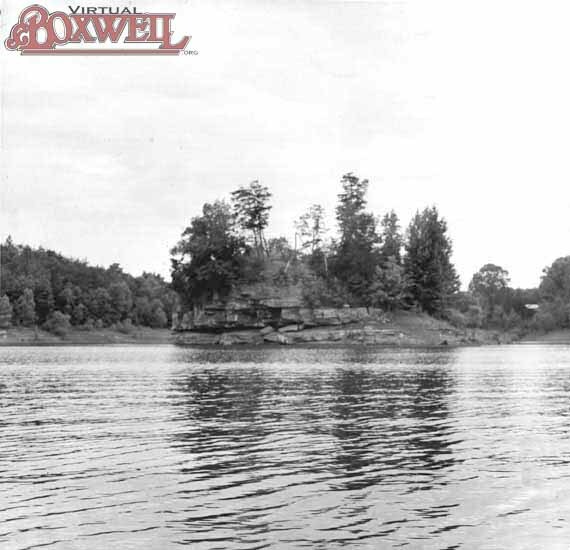 Taking the lessons from both Rock Island and Cedar Valley and hoping to make a summer camp more centrally located for the needs of the council, Boxwell at Old Hickory was constructed. 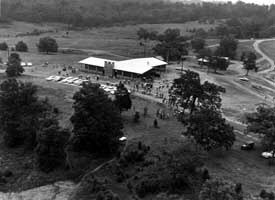 Summer camp opened for the first time on June 26, 1960. 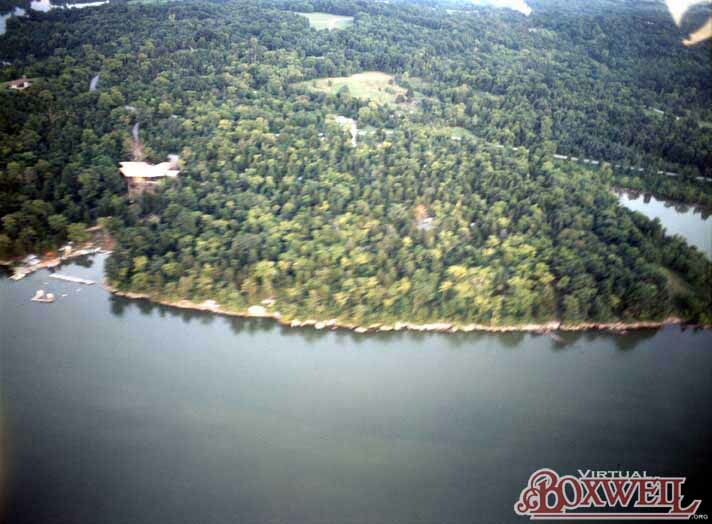 Compared to its predecessors, "new" Boxwell was an enormous reservation. 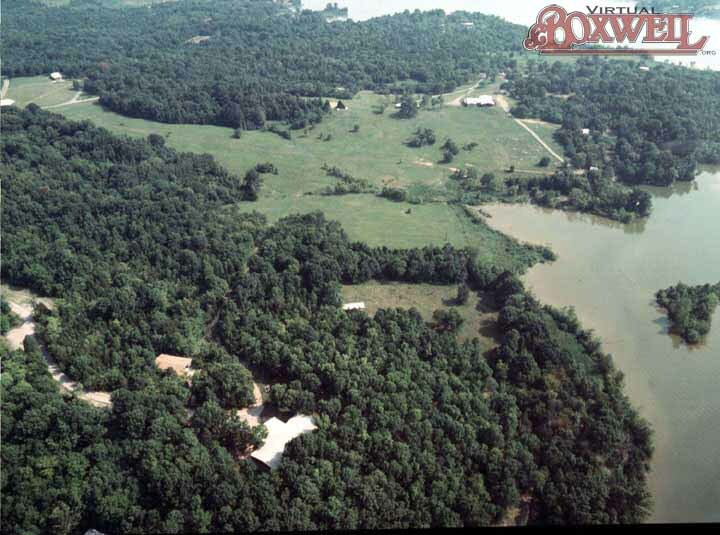 Boasting four camps (Stahlman, Parnell, Light and Murrey), the reservation encompassed 1,133 acres, its own water and sewer systems and facilties to house 850 Scouts a week. For this incredible system, the largest capital campaign in Scouting history had raised almost $1 million. 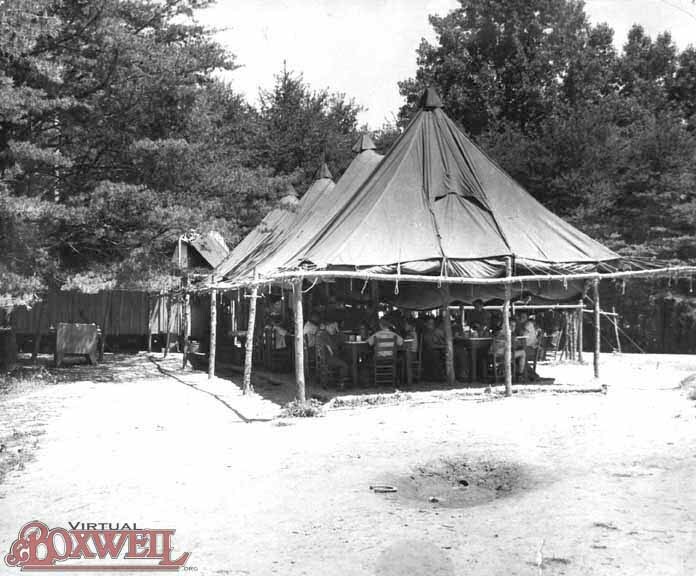 The camp, under the direction of Ward Akers, maintained a very rustic feel. Combining both permanent and temporary structures, the reservation could be easily winterized and used for off-season training and events. The designs of the buildings reflected both Akers' desire to have something that felt comfortable and appealing to Scouts, but was functional for the needs of the council and the professionals as well. 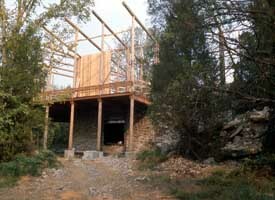 The reservation also paid homage to the many people who had helped make it a reality. 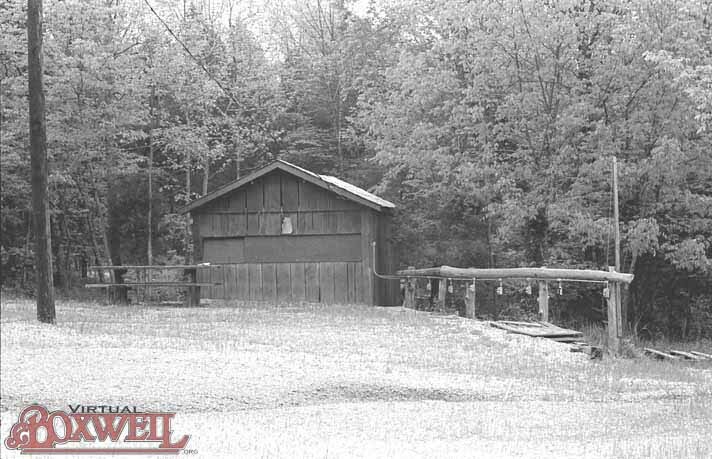 The camps were named for major contributors: Camp Stahlman for E. B. Stahlman, co-owner of the Nashville Banner and a major fund-raising force, Camp Parnell for R. L. Parnell of the car dealership R. L. Parnell & Co.,, Camp Murrey for E. B. Murrey and his son E. B. Murrey, Jr. and Camp Light for Dr. Rudolph Light of Vanderbilt. 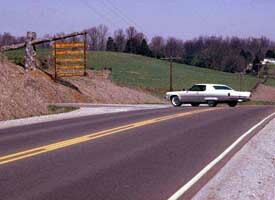 The road into Boxwell was christened Creighton Lane after Wilbur F. Creighton, Sr., a Council President. 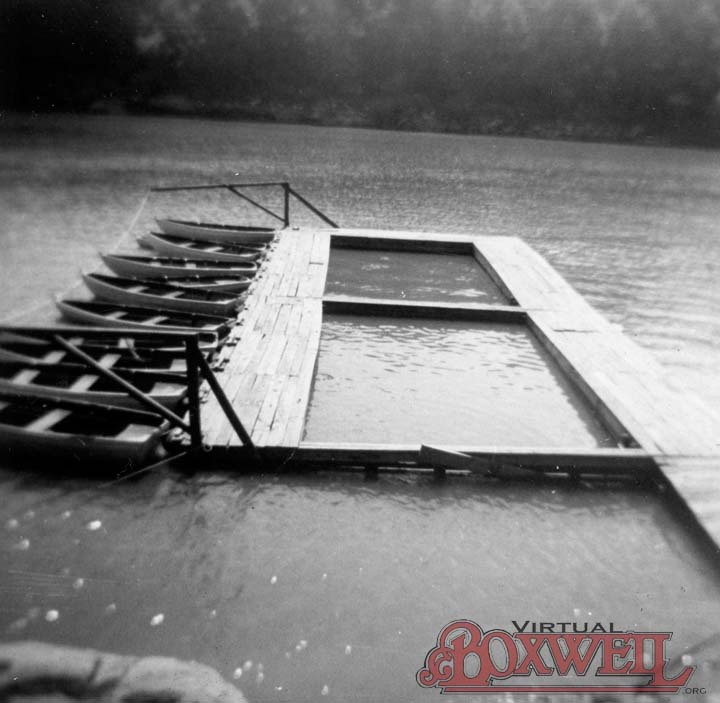 While Akers had the vision to plan out Boxwell to grow in years to come, the reservation was in many ways a work in progress. 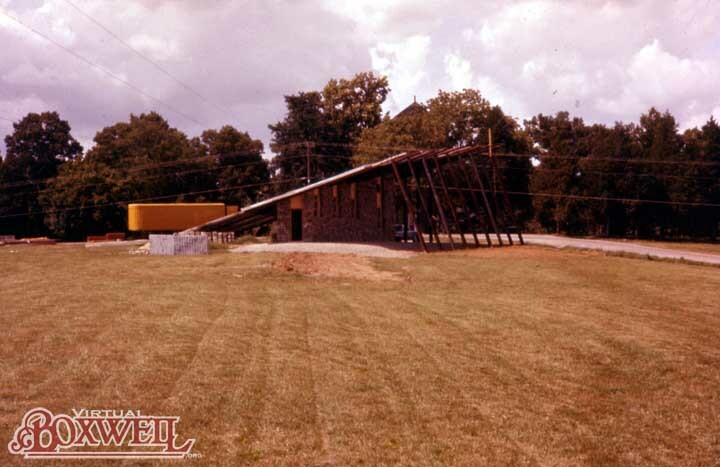 Beginning in 1972, Boxwell underwent some renovations to accomodate the growing needs of the council. See Recent Renovations below to learn more. 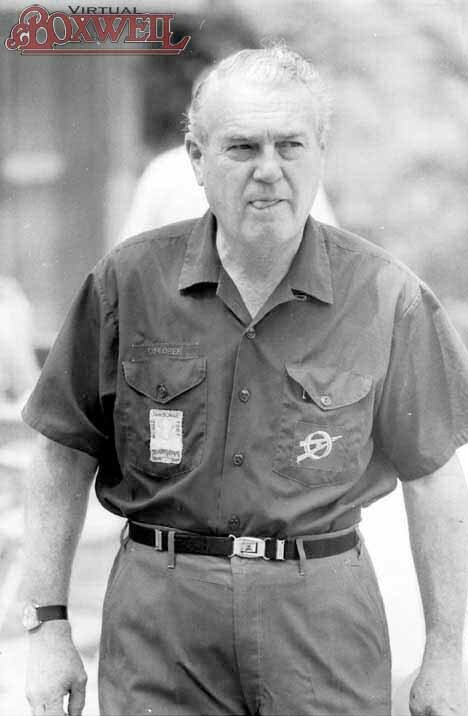 An excellent source of information on Boxwell is Wilbur Crieghton, Jr.'s Boys Will Be Men: Middle Tennessee Scouting Since 1910. This 1983 book is currently out of print, but can still be found if you look hard enough!